At Crooked Stave Artisan Beer Project, beers are sometimes released in almost every color of the rainbow. And to celebrate the upcoming release of their Wild Wild Brett Violet, they are pulling out bottles of all their "rainbow" color Wild Wild Brett beers. Check out this news release from Crooked Stave Artisan Beer Project and make plans to taste the rainbow on May 19th - aka ROY-G-BIV Day! [Newsletter] May 1, 2013 - Denver, CO - We are very excited to announce that we will hold a bottle release for Wild Wild Brett Violet on May 19th!!! In order to celebrate the completion of the Wild Wild Brett Series and bottle release for Wild Wild Brett Violet, we will be hosting a ROY-G-BIV Day (or Rainbow Day as it has been informally mentioned)! *Wild Wild Brett Violet, as well as St. Bretta and Hop Savant will be on tap ALL DAY! If your excitement allows you to continue reading we will now give a concise introduction to Wild Wild Brett Violet. 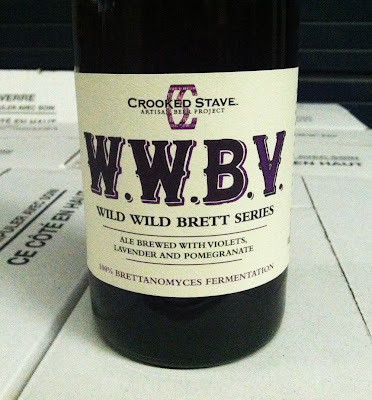 Like all of the Wild Wild Brett Series, Violet is a 100% Brettanomyces beer. Violet was brewed with pomegranate and lavender and fermented on whole fruit passion fruit. After fermentation Violet was then dry-hopped with an experimental hop (Ex. 366) that we received from our growers. Last week we laboriously hand-bottled Wild Wild Brett Violet into 750ml bottles in order to stay true to the Wild Wild Brett Series. As some of you know, we have switched over to 375ml bottles, so this will be our last 750ml bottle in the foreseeable future. At the moment, Violet is bottle-conditioning and preparing itself for the release on May 19th! Not only is this a meaningful occasion for Crooked Stave, but also for everyone who continues to support the wild and sour beers we are so passionate about! 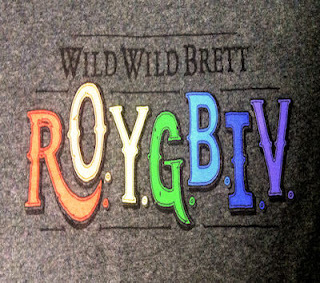 We can’t wait to spend ROY-G-BIV Day with all of you! - Crooked Stave Sentience Wild Quadrupel Cognac Barrel review. - Crooked Stave plans Origins bottle release.